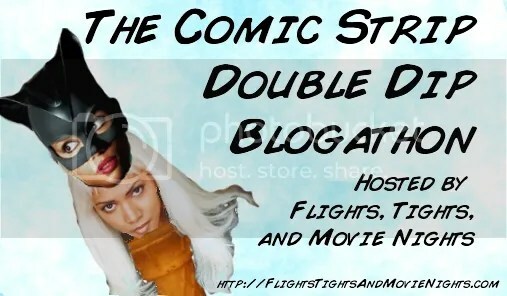 The Comic Strip Double Dip Blogathon has been started up by Bubbawheat over at Flights, Tights & Movie Nights. You can find the original blog post here. Still a few characters to be claimed as well! Green really must be his colour! Now these characters are going to be very good to compare, mainly because they start off with a quite normal guy and he suddenly gains an alter ego. The alter ego which is living life on the edge and having much more fun than the normal man he leaves behind. The Mask persona arrives because of a strange old mask Stanley Ipkiss finds one strange night. While The Riddler appears because Edward Nygma goes slightly or he goes pretty much crazy. 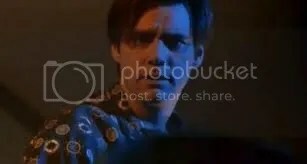 This is something that Carrey does just so well, let’s face it he was one of the top actors of the 90’s and I was a 90’s kid so these two films still go back to my childhood in my love for them. Both characters have fantastic comic book movie larger than life personas showing that it really must be good to be green. The costumes are over the top which makes it even more brilliant. With this blog post I think I am supposed to be picking which is a better character and performance, something I am struggling with at the moment. 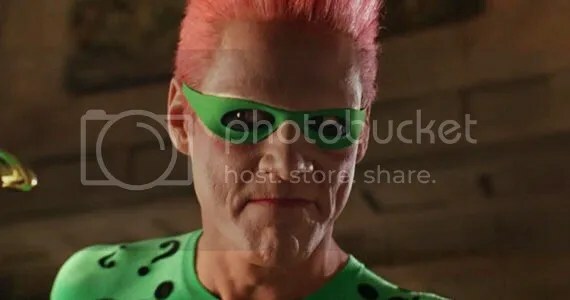 I know I probably will get a bit of flack for proclaiming my love for Batman Forever as I know that is when people thought it started going a big crazy. 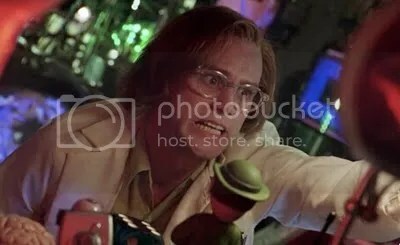 But I don’t really care I still enjoy Batman Forever and think Carrey as the Riddler is one of the best things about it! He really is just funny and his crazy over the top character works so well with Tommy Lee Jones’ crazy two-face. The Mask is one of those films that you can easily sit back enjoy and just laugh at, so many things about it are just amusing from start to finish. The Riddler sees Edward Nygma become everything he would be scared to be, changing into a crazy guy who wanted nothing more than to find out the true identity of Batman and bring down Gotham City in the process. Not forgetting his hatred towards Bruce Wayne who was his boss after he rejected his idea of stealing people’s thoughts. A bit ironic really when he ends up against Batman, the only bad guy who actually works out Wayne is in fact Batman. Just a shame he goes a bit crazy in the end. 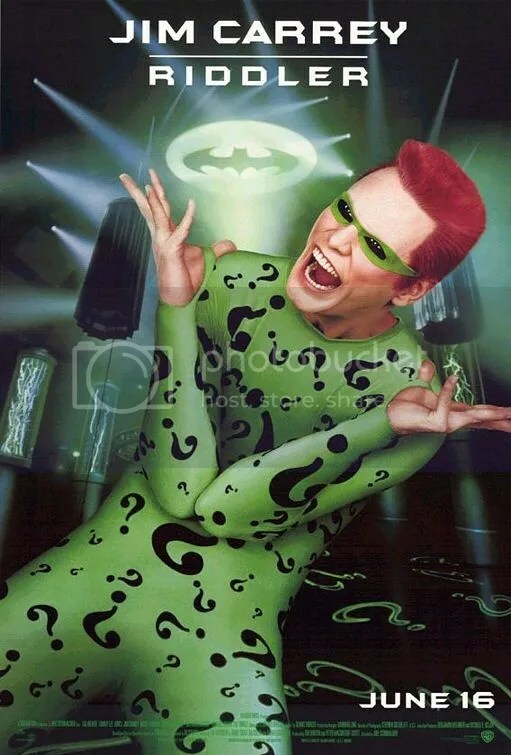 With Carrey being the Riddler this gives him some fantastic one liners and coming up with little riddles. 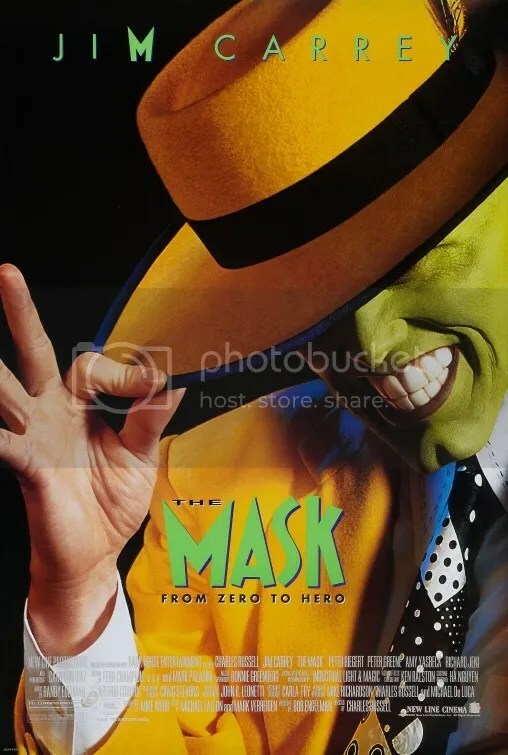 The Mask sees boring Stanley Ipkiss become a larger than life man who is not afraid to take what he wants when he wants it, this includes money and women. The funniest part about it all is that the next morning Ipkiss is in what seems like a hung over state, not really being able to remember his actions after he became the Mask. He has some brilliant one liners and if I remember rightly a lot of quotes which were very well known and said during the 90’s. The Mask is everything Stanley is not and eventually helps him realise that he can be more than he currently is! I guess what I am trying to say when comparing these two larger than life green creatures is that they really aren’t very different at all. Maybe it is no coincidence that Carrey was in these films which were released only a year apart. He was the right man for both roles and he really pulled them both off with brilliant effects. Both memorable performances in what are fun to watch Comic Book films. I am sure that is the main thing we want from Comic Book film for them to be highly entertaining and very enjoyable from start to finish, with crazy larger than life characters who are totally off the wall. 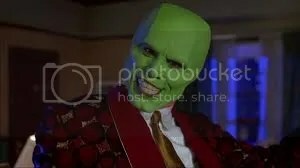 Therefore I think as long as he is green in a comic book film Jim Carrey is a fantastic choice for a good (if you can call the Mask good) or bad guy. He has all the crazy things needed to act larger than life. Something he really perfected throughout the 90’s. Sorry that I just haven’t managed to choose, the characters are just too similar to really make a choice and pick one! Thanks for joining in, personally I’d pick the Mask hands down. I think that’s probably because I’m more of a Batman fan than a Jim Carrey fan and the Riddler felt more like a Jim Carrey character rather than an actual Batman villain. Yeah that’s a very good point about the Riddler! It pretty much was the same character as the Mask really. Thanks for setting up such a good blogathon!